Are you curious about the science behind CoolSculpting and how it works to rid your body of stubborn fat? Doctor Matthew Avram, world-renowned expert in Laser and Cosmetic Dermatology and Faculty Director at Harvard Medical School, breaks down the science. Make sure to watch the video.  CoolSculpting, the brainchild of two outstanding Harvard scientists, utilizes the targeted application of cold to non-invasively reduce stubborn fat. Since lipids (fats) are more sensitive to cold and crystallize faster than normal cells, targeting and cooling them triggers their natural death without damaging nerves or surrounding tissue. The science behind CoolSculpting technology makes it the perfect solution for those experiencing difficulty shrinking love handles, muffin tops, and spare tires – problem areas prone to resistance to exercise and dietary changes. CoolSculpting sessions require little time, and can easily be accomplished during your lunch hour, returning you back to work without down time. No general or local anesthesia is necessary. You are in, out, and done. Following the CoolSculpting procedure, fat cells shrink and die, allowing the body to metabolize and eliminate them. Over the course of the following weeks and months – approximately 90 days – the overall fat layer is significantly reduced, producing noticeable and measureable results. Ready to find out if CoolSculpting is right for you? Contact the CoolSculpting Experts today.